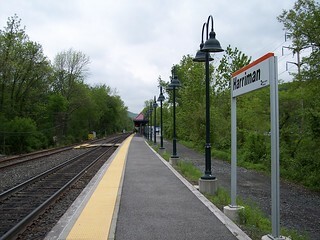 The platform and canopy at the current Harriman station. 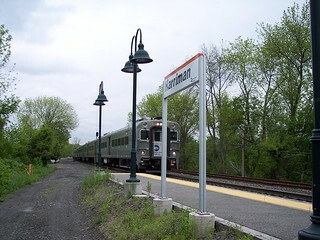 A Hoboken-bound train stops at the station. 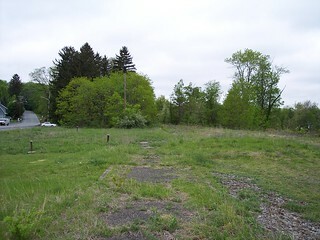 The platform at the new station on the left, and the remains of the platform at the old station on the right. 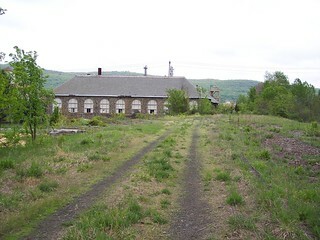 The old Harriman station was a bit further up the Main Line just after the junction with the Graham Line. 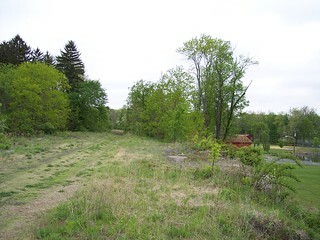 Since trains now use the old Graham Line, the station was moved south of the junction. 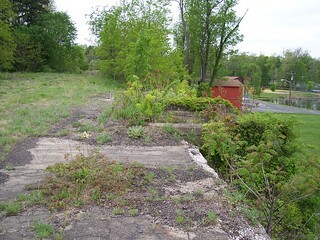 More views of the track area and remnants of the platforms at the former station. At the site of the former station is an old stone monument commemerating the first train orders being sent by telegraph. 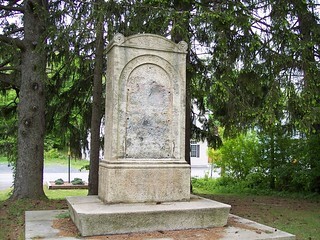 The bronze plaque has been removed, with only the inscription "What hath God wrought" remaining on the stone, but a sign on the road explains the historical significance of the site. 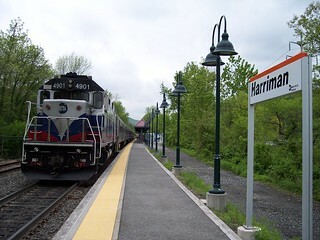 Photos of the old Harriman station can be found on the I Ride The Harlem Line blog. Photos of the bronze tablet that was once on the monument can be found on the Telegraph-History website. 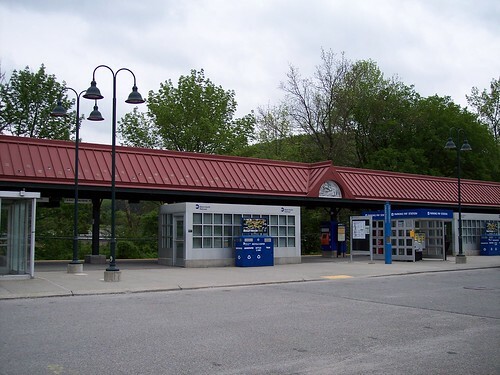 More photos of the former Harriman station can be found on thebluecomet.com website.